Located near Longfellow Creek in West Seattle, the Dragonfly Pavilion/sculpture is designed using curved steel pipes. Its wings and body were shop fabricated and delivered to the park site where bolted connections allowed for efficient assembly of the structure. Shotcrete walls, seating and terrazzo floor provided a place for the public to relax and enjoy the park serenity. 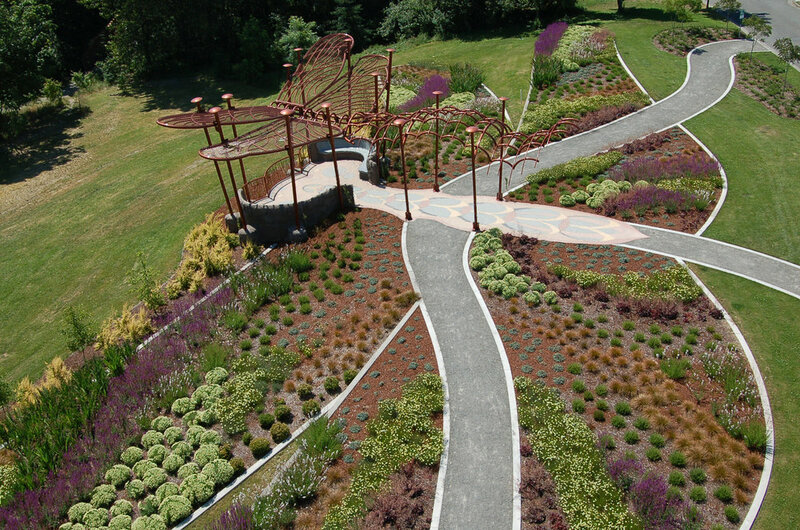 This City of Seattle project, completed in 2005, was designed by artist Lorna Jordan and provided in conjunction with the Office of Arts and Cultural Affairs.